Located in quiet residential area 2 km from Prague Castle, Vila Josefina offers free in-room Wi-Fi and free private parking. Veleslavin Underground Station is 500 metres away. All rooms at Vila Josefina feature a seating area, satellite TV, and a bathroom with hairdryer. Guests can use a shared kitchen. The garden includes a children’s playground. A spa centre with a swimming pool and fitness room is 300 metres away, and tennis courts are within 500 metres. 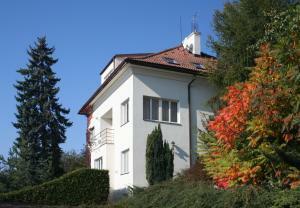 Vila Josefina price per day from €37 Located in quiet residential area 2 km from Prague Castle, Vila Josefina offers free in-room Wi-Fi and free private parking. Veleslavin Underground Station is 500 metres away. All rooms at Vila Josefina feature a seating area, satellite TV, and a bathroom with hairdryer. Guests can use a shared kitchen. The garden includes a children’s playground. A spa centre with a swimming pool and fitness room is 300 metres away, and tennis courts are within 500 metres. 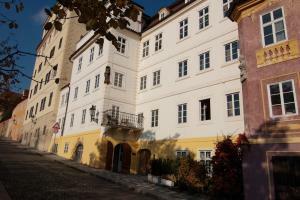 Golden Apple Apartments price per day from €44 Just below Prague Castle, Golden Apple Apartments is located in a 15th-century building in Prague’s Hradčany District. Satellite TV and tea and coffee making facilities are available in all units. Apartments also have a fully equipped kitchen with a microwave and a stove. Some apartments come with a dishwasher and a washing machine. 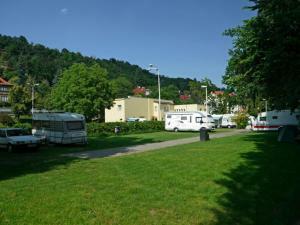 Parking is possible on the nearby Parléřova street 300 metres away for free. Apartmány Šárka Set amidst the nature 6 km from the Divoká Šárka Nature Reserve, the Apartmány Šárka offers accommodation with free WiFi 5 km from the Prague Castle. The units are located in a spacious garden with barbecue facilities and a terrace and come with a TV, coffee and tea making facilities, kitchenware and a refrigerator. 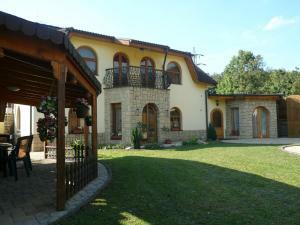 The private bathroom is fitted with a shower and luggage storage is provided. Meals can be enjoyed in the Gastronomia Restaurant across the street. 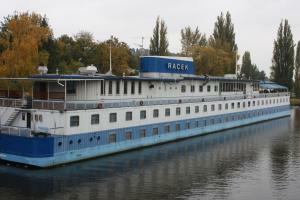 Restaurant Cafe U Zrcadla, Prague Guest reviews: 10/10 ~ 2,2 km from Vila Josefina Address: Uvoz 161/22, 110 00, Prague. 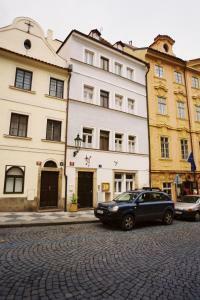 Restaurant U magistra Kelly, Prague Guest reviews: 9,2/10 ~ 2,4 km from Vila Josefina Address: Sporkova 521/5, 118 00, Prague. Cuisine: Czech, International. 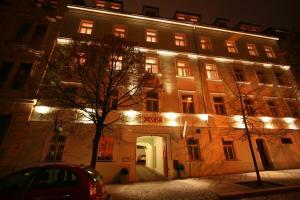 Restaurant Coda, Prague Guest reviews: 9,2/10 ~ 2,7 km from Vila Josefina Address: Trziste 9, 11800, Prague. 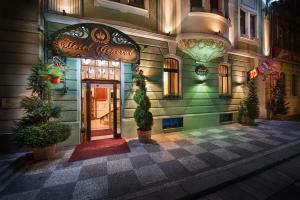 Restaurant Terasa u Zlate Studne, Prague Guest reviews: 9,4/10 ~ 2,8 km from Vila Josefina Address: 66/4, 11800, Prague. Cuisine: French. Restaurant Atelier Red & Wine, Prague Guest reviews: 9,4/10 ~ 3,2 km from Vila Josefina Address: Rosickych 603/4, 15000, Prague. Cuisine: French.